What it is: Mixologist Gina Chersevani's incredible version of a Bloody called Lox'd & Loaded is far from typical. 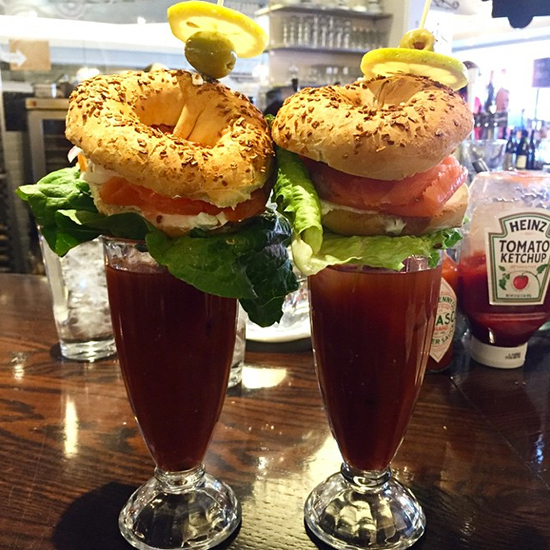 Her spicy drink comes with the ultimate garnish: a full-sized, freshly baked New York-style bagel smeared with plenty of cream cheese and packed with lox and capers. There is a little lettuce to keep the breakfast sandwich-garnish atop the actual cocktail.